New Jersey's history of higher education began with the founding in 1746 in Elizabethtown of the College of New Jersey as a school to educate ministers of the Presbyterian Church. 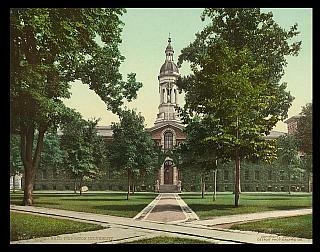 Later to relocate to Princeton and change its name in the next century to Princeton University, the new college soon became a center for dissent, challenging the governance of the colony by Royal Governor William Franklin and the established Anglican Church of England, which attempted to stem the growing influence of Presbyterians in the colonies. After failing in his efforts to assert his control over the College’s board of trustees, in 1766 Franklin granted a charter to establish in New Brunswick the new Queen’s College (later renamed Rutgers), providing education for the Dutch Reformed clergy, thus making a political coalition between the Presbyterians and the Dutch Reformed less likely. At this time, New Jersey had one of the most diverse religious profiles of all the colonies, with Presbyterians, Anglicans, Dutch Reformed, Quakers and Baptists all active in different parts of the colony. In 1775, New Jersey’s first Provincial Congress met in Trenton. 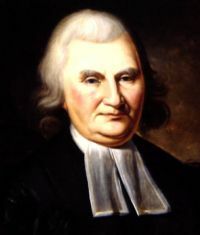 The meeting was dominated by Presbyterians, notably including John Witherspoon, the president of The College of New Jersey and a prominent minister who had been personally recruited by alumnus James Madison to relocate from Scotland to head the College, and William Livingston, a member of an influential New York family who had moved to Elizabethtown upon his marriage to a New Jersey woman in 1772. Witherspoon would continue to be an outspoken advocate for a formal break from England, elected as a delegate to the Continental Congress where he was one of the five New Jersey delegates signing the Declaration. The College's alumni, including James Madison, Richard Stockton and Aaron Burr, also would play major roles in the War and the formation of the new government. ​ Apart from what would evolve into Princeton and Rutgers Universities, it would not be until the 1960s that New Jersey developed a more comprehensive network of colleges and universities. 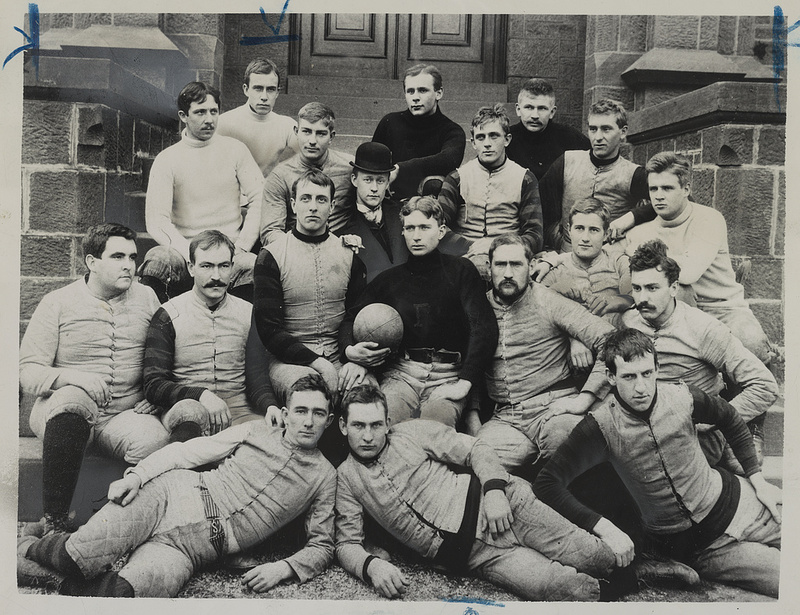 For most of its history, while other state governments would establish state universities which grew to become leading symbols of state pride, New Jersey remained without an official state university. 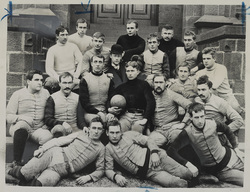 Rutgers, which had been designated as the state's sole land-grant college in 1864 under the federal Morrill Act, subsequently expanded its research and instructional programs in agriculture, engineering, and science, but remained a private college. Its official status as "The State University of New Jersey" came only with the approval of acts of the legislature in 1945 and 1956. Under the 1956 law, Rutgers was governed both by its Board of Trustees, primarily charged with maintaining the assets of the college and its continuity from the 1766 charter, as well as a Board of Governors consisting of eleven members: five members selected by the Board of Trustees, and six appointed by the Governor of New Jersey. The University's enrollment, however, remained extremely small compared to most other state universities until well into the 1960s. ​ Several of the current state colleges were originally established as teacher's colleges, only broadening their curriculum after the state government enacted legislation and provided funding in the 1960s to refocus their mission to provide more comprehensive undergraduate curricula. The community college system soon followed, with most counties founding their own colleges with the help of state financial aid. The state previously oversaw higher education through the Department of Higher Education, with its Chancellor serving as a member of the governor's cabinet. The Department was abolished in 1994 during the administration of Governor Whitman, however, and replaced with a council of presidents of the respective institutions and a state secretary of higher education, which publishes information but has no authority to coordinate policies among the institutions. In the fall of 2013, there were a total of 436,939 students enrolled in degree-granting postsecondary institutions in the state, a 6.5% increase from the level in 2008 and over twice the number enrolled in 1970. In fall 2015, the largest state universities in full-time undergraduate and graduate enrollment were Rutgers (54,522); Montclair State University (15,876); Rowan University (13,058); and Kean University (10,045). The largest independent institutions in full-time enrollment were Princeton (8,013); Seton Hall (6,939); Fairleigh Dickinson (6,908); Monmouth (5,187); and Stevens Institute of Technology (5,092). ​ Current issues relating to higher education including rising costs and their impact on tuitions and the out-migration of students to attend institutions in other states. In recent years, the state has ranked highest of all states in the average salary of full-time instructional faculty in 4-year public institutions, with its average in 2013-14 of $104,976 significantly above the $101,103 of second highest Delaware and the national average of $79,711. In the fall of 2012, the most recent data available as of 2016, 34,875 New Jersey high school graduates left the state to pursue college degrees compared to 5,638 from other states who came to New Jersey, a net loss of 29,237. The net loss was by far the highest in the nation, ahead of the next-highest states of Illinois (-16,563), Maryland (-8,742), Texas (-8,631), Georgia (-5,638), and Connecticut (-5,570).